The leader of a religious cult in Guyana instigates a mass suicide. He succeeds in killing himself and his whole flock of worshippers, save one. In a wood outside Ystad, the police make an horrific discovery: a severed head, and hands locked together in an attitude of prayer. A Bible lies at the victim's side, handwritten corrections and amendments on every page. 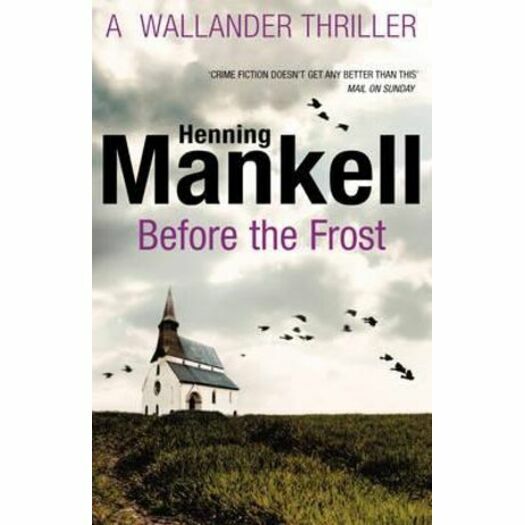 A string of incidents, including attacks on domestic animals, has been taking place and Inspector Wallander fears that these events could be the prelude to attacks on humans on a much greater scale. Meanwhile Linda Wallander, preparing to join the Ystad police force, arrives at the station. Showing all the hallmarks of her father - the maverick approach, the flaring temper - she becomes involved in the case and in the process is forced to confront a group of extremists bent on punishing the world's sinners.